As times have evolved so has evolved the nature of the content being posted on the internet. With increasing personalization of websites, you can see a visible change in the nature of the content – going from being static to more dynamic in nature. This has an effect on the content delivery networks which are primarily in-use to handle static content. All this fiasco has related to two big problems – the speed of internet becoming slow and cost factor becoming more. When we talk about the speed of the internet, we generally talk about latency and bandwidth. With more dynamic content coming into the website, the frequency of latency and bandwidth issues is on the rise which causes the internet speed to slow down. Generally, businesses route traffic through BGPs i.e., Border Gateway Protocol (BGP), which functions on the principle of using the best logical path for the traffic. The problem here is that these BGPs are not always the fastest and hence network congestion occurs. This results in a poor user experience leading to conversion rates becoming lower thanks to the low speed of functioning. the other factor is the cost factor. With a current lot of CDNs designed majorly to handle the static content, businesses leveraging the power of dynamic content on their website are left paying more for improving the delivery of their content. However, the scope of improvement is in a limit. So, the problem worsens. All this brings us to one big question – if there are so many problems lurking around the current CDNs then where is the solution? The most effective solution lies in finding the best path for data transfer. This is where the power of AWS cloud computing services comes into the picture. Today, mostly in-use are the BGPs, which are not always the best option in terms of speed and cost, we need to find something that will help overcome these BGPs and select the better option for the data transfer. This is where businesses need to consider making changes at the ISP level. Based on the individual business requirements and the requirement of its users, they need to consider using different ISPs. In simplest words, this requires a system that could perform networking mentioning and traffic optimization. And, AWS as system architecture of the web holds the solution. At the end point of every business decision is the ultimate decision to lure the customer. 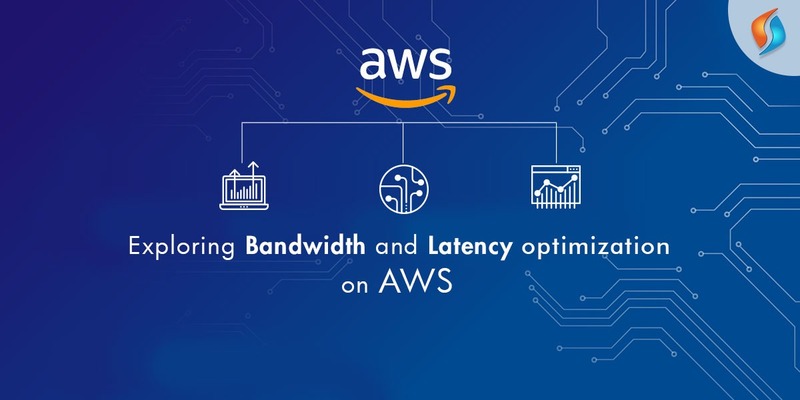 With the improved speed of content delivery on the internet, bandwidth and latency optimization systems will help business to ultimate capture the eye of its users. In today’s competitive world, it is all about giving the user a great experience. By solving the challenges and problems discussed based on Amazon cloud services, business could actually build that great experience for their users. This is the reason that businesses have shifted their focus towards leveraging the power of Amazon cloud services. And they are now looking for the best possible solutions to the challenges they have started to face with CDNs. Get the best AWS development services! If you have the same challenges upfront, then it is time to move beyond the usual and step ahead to explore the potential of AWS. And this is where we at Signity Solutions as an AWS premier consulting partner can prove to be your best friend. With years of experience in AWS development services, we promise to bring the best for you. To hire AWS developer, contact our team on software outsourcing services and we promise to help you with our state of the art AWS cloud computing services.